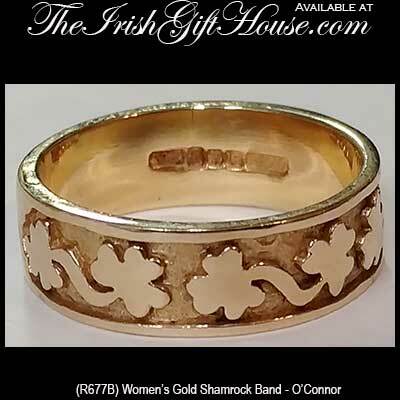 This engraved shamrock band is cast in 14K gold. 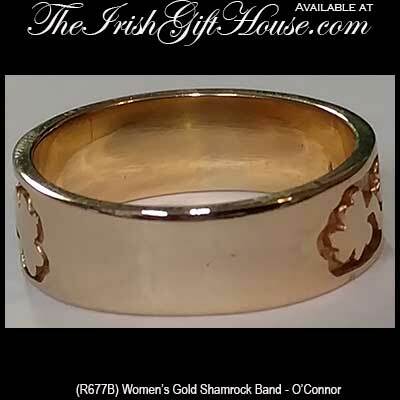 This gold shamrock band has been hallmarked by the Irish Assay Office at Dublin Castle. This 14K yellow gold ring has an engraved shamrock motif that extends around three quarters of the band. 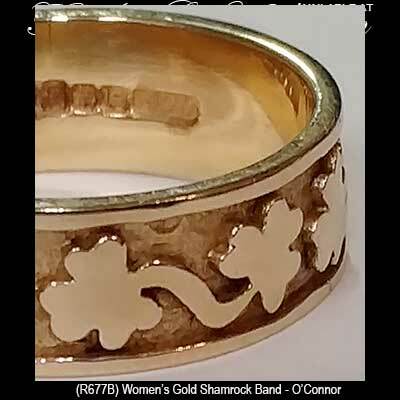 The gold shamrock band measures 1/4” tall in the front and is gift boxed with a shamrock history that is complements of The Irish Gift House. This women's shamrock ring is available in limited sizes and was made in Ireland by O'Connor Jewelry.